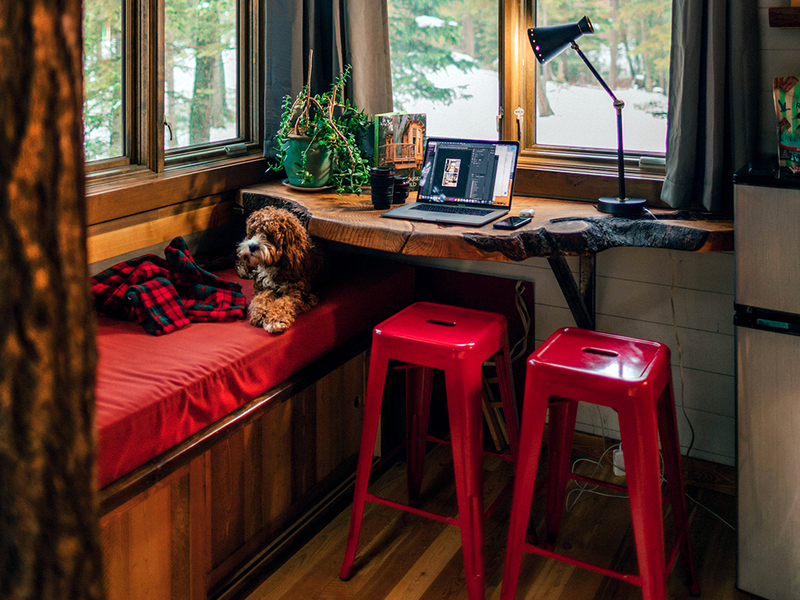 Love the bold color of red, but not sure how to add it to your home? The trick is a little goes a long way. This fiery color can be overwhelming if used too much in one space. A signature red painted wall speaks volumes in itself without having to add the color in any other way. However if you rent, chances are you won’t be able to paint your walls this classic, but striking hue. Instead, you can still get that classic pop of color from a piece of furniture or home accessory. Let’s check out our favorite ways to add red to your apartment. Photo by Julian Hochgesang via Unsplash. A single chair like this Velvet Swoop Arm Chair from Target will definitely not go unnoticed in your apartment home. The elegant design of the chair is a great match for its more burgundy red and the velvet fabric only adds to its appeal. Or try this mid-century inspired Darrow New Velvet Armless Chair by Christopher Knight Home for a modern and minimalist splash of rouge. 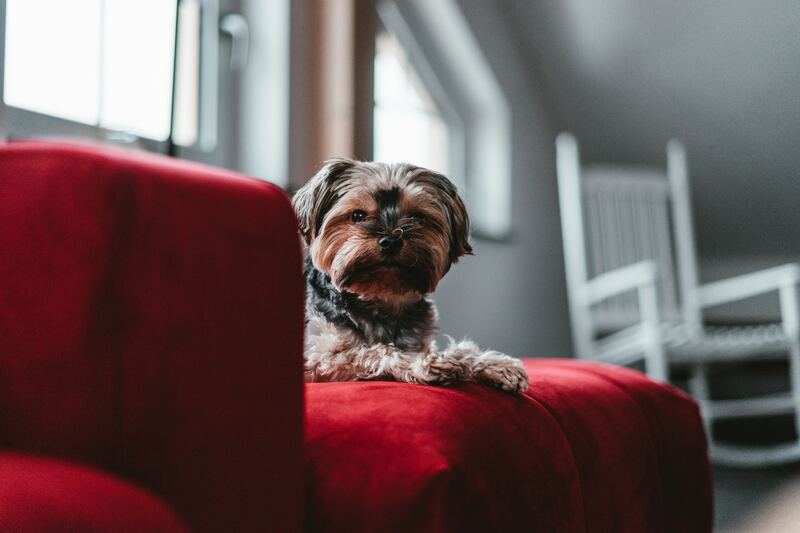 If a chair isn’t enough red for you, chances are a couch will do the trick. This rose-red Cecilia Ruched Velvet Sectional Sofa will stand out, but in a classy and elegant way. This unique Victorian style Colloquial Tulip Tete-A-Tete from Anthropologie features a fun red print with tiny telephones. Not for the faint of heart, but definitely for those that love vintage fashion and style. Along those same lines is this tongue in cheek Kendra Tamsin Dining Chair with a colorful red lobster design. For those just wanting a splash of rouge, try this burgundy-red velvet square floor pillow. Or this hand panted terracotta Avignon Ceramic Vase with a subdued hint of red can be used for an indoor plant or as a centerpiece for your dining table. 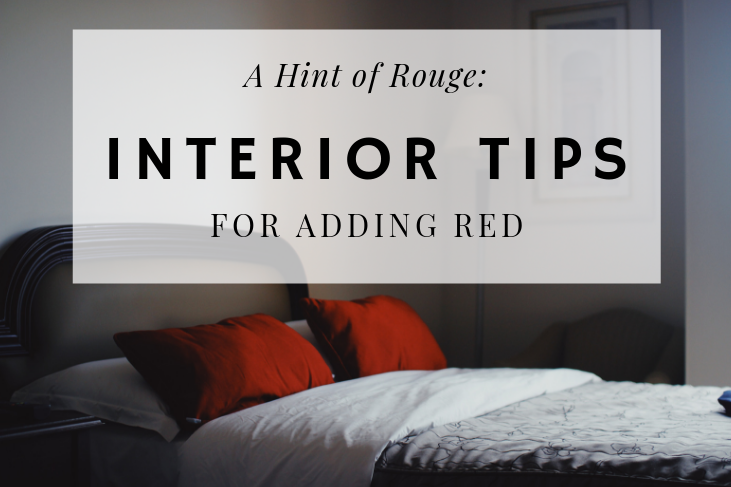 As you can see there are plenty of gorgeous ways to add red to your home without it taking over. Whether you love vintage design, modern or even kitsch, red is a classic color that will never go out of style.